I’ve always been taught that when cooking (dried) pasta, the pan of water needs to be at a rapid, rolling boil before adding the salt and then the pasta, and kept that way as it cooks. Otherwise it will turn gluey, stick together, and an Italian nonna will leave a horse’s head in your bed. Well – it’s not true. 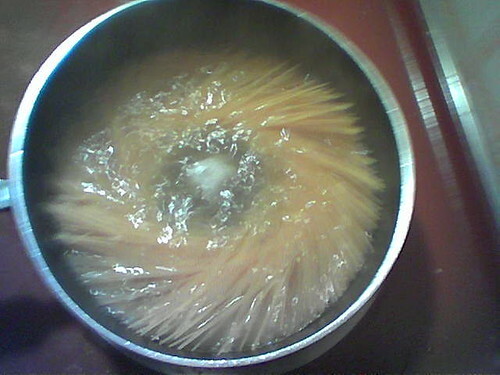 You can actually put dried pasta in a pan of cold water, let it come to the boil, stir from time to time, and wait till it’s done: it’ll be just fine. Alternatively, you can add the pasta to boiling water, cover the pan, and turn off the heat. It’ll cook slowly, but it’ll cook. (How’s that for an energy-saving tip?) For more on the science behind this, check out this post in Serious Eats’ brilliant Food Lab series. Breaking this rule feels incredibly impious, but it really is true. Some people get very sniffy about crushing garlic. That’s a shame, because it’s so much easier than slicing it, and doesn’t leaves your hands nearly so stinky afterwards. It’s sometimes claimed that crushing garlic makes it taste bitter. That’ll only happen if you use an aluminium garlic press. Use one made from different materials and your crushed garlic will taste and smell of nothing but delicious, raw garlic. Many recipes for stews or braises call for you to seal the meat in a hot pan as the first step. It’s often said that this seals in moisture. It doesn’t. In fact, it might well do the exact opposite, as this Food Network video with Alton Brown demonstrates. So should you bother? Yes, because what you’re actually doing is carrying out the Maillard reaction, which creates a better depth of flavour. Do it right and you also get a lovely sticky goo on the base of the pan, which you can boil off with a splash of wine and add to your sauce. 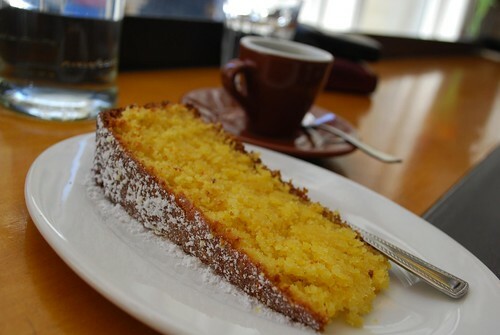 4) Butter-based cakes are tastier than ones that use vegetable oil. It’s often said that cake recipes that use butter will be tastier (richer! butterier!) than ones that use oil. This might be true, but the difference is so imperceptible that it’s very hard to pick up on (thought this will depend on the recipe, of course). Most people won’t notice much of an improved flavour. In fact, because oil is liquid at room temperature, it also makes for a moister cake. Butter does have other advantages in cakes – just remember that there’s no need to be snooty about using oil, which is also cheaper. Often, a mix of oil and butter can get you the best of both worlds. Check out The Cake Blog’s great post for more on this. 5) You shouldn’t wash mushrooms, just wipe them clean. The theory behind this one runs that, because mushrooms are so porous, washing them will turn them into soggy little sponges. If you were to leave them sitting in water for a while, that might be the case – but generally, a quick shower under the tap will clean them easily without any adverse effects – much easier than laboriously wiping them with a damp cloth, as is often advised. Playing with food unnecessarily when you’re cooking it is a sin I’m often guilty of. I think it’s born of impatience. 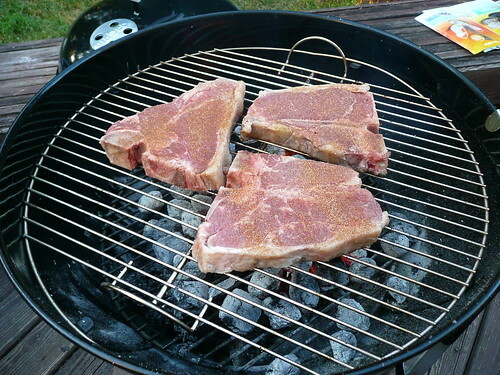 Flipping steak or other meat, be it inside or on the barbecue, is widely considered a particularly heinous offence. I’m not sure why. Anyway, it’s nonsense. Food Lab to the rescue again! Flipping your steak regularly will give it just as good a crust, help it cook more evenly, and it’ll even cook more quickly. This myth holds true for low-quality meat, but it’s just as much of a shame to cook a good piece of pork to death as it is a steak. In previous decades there was a risk of the disease trichinosis associated with pork, but this has largely been eliminated. You can serve pork pink, and it’s delicious. Just make sure you get your (free-range, organic) meat from a top-quality butcher whom you trust. 8) Adding salt to the water you use to cook dried pulses will make them tough. Well, ok – most things do. But not everything – especially not bread. I’m frankly amazed and disappointed by the number of people – good cooks too – that I see keeping bread in the fridge in an attempt to prolong its life. CEASE AND DISIST, people. 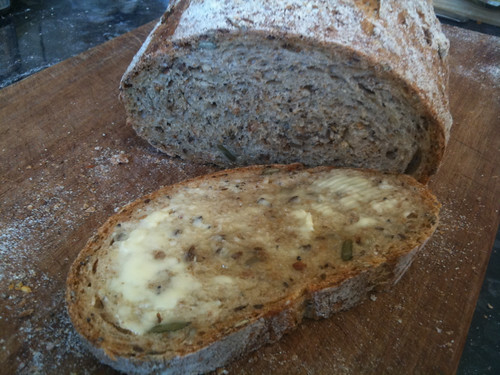 Bread will go stale more quickly in the fridge. Don’t believe me? Read this. I definately agree about the bread comment. I like to leave mine either in the freezer or the pantry. Not the fridge just dries out too fast. Pingback: Why does bread go stale in the fridge? I find that green lentils hold their shape better and don’t split so easily if I pre-cook them in unsalted water, but maybe that’s just me! You might well be right… After all,the point here is that lots of people say that adding salt toughens pulses. And it doesn’t. But it might help soften them, in which case they might loose their shape more quickly.